Today on the Alien Skin blog, I received a mention for images I made recently using their SnapArt3 software. Thanks Alien Skin! I really enjoy using the software, giving me just one more option for processing my work. 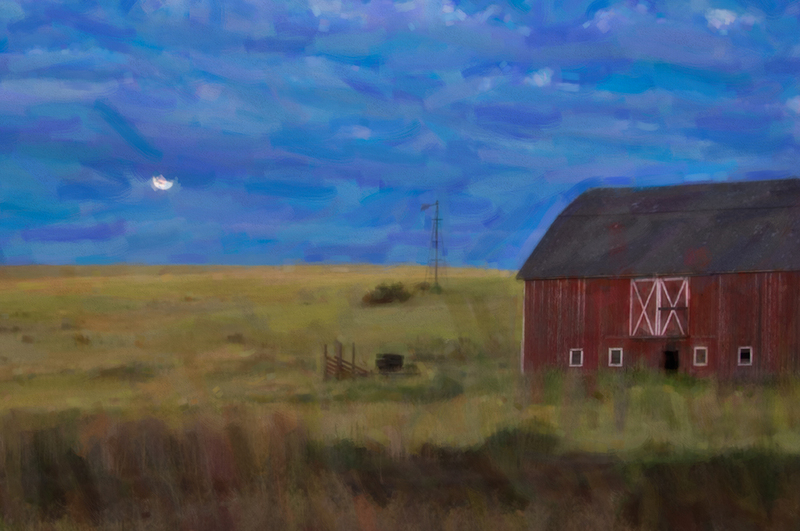 Last night I was exploring the software a bit more using the pastel filters. Here is a little before and after on a couple barn shots. 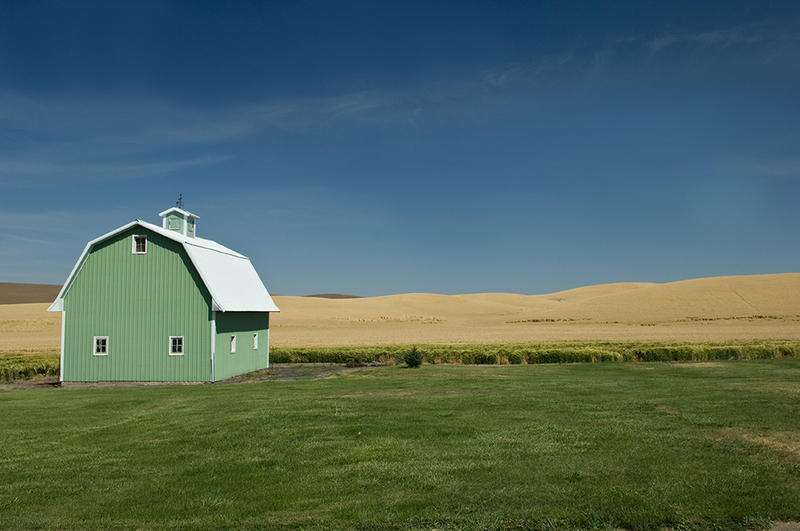 I made many images of barns in the Palouse but these two were different. 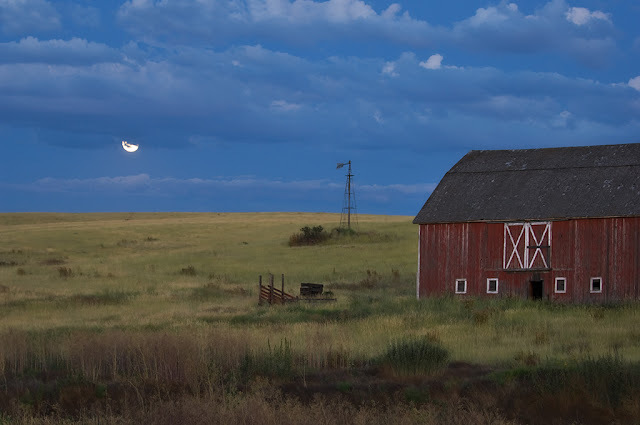 On my last evening there, I had a full moon and clouds in the evening sky, while there was still a fair amount of light in the western sky illuminating the front of the barn, so I stopped and made the Red Barn image. The following morning while heading out I found this green barn, the only one I saw like this the whole week. It was a great week in the Palouse, just wish there would have been a few more cloud filled summer skies, but I am not complaining! Now I have to get busy making prints for my upcoming November show in Seattle at the Baas Art Gallery. 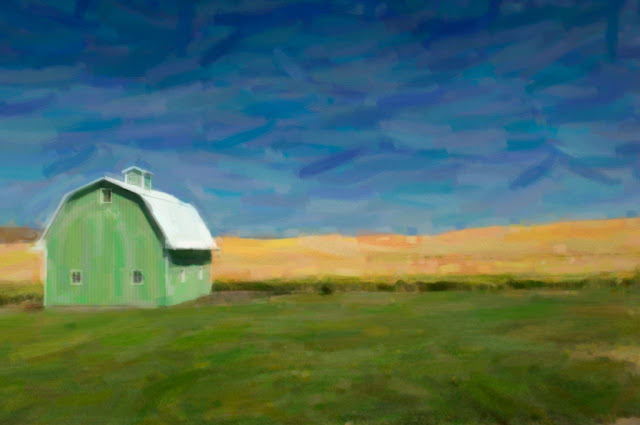 St. John Grain Growers, Inc.